Aramco Annuitants Mohammad Riaz Baig, Badge #73629, and Aasia K. Baig are pleased to announce the marriage of their daughter, Aneesa R. Baig, to Adeel Izhar Javed on August 19, 2017, in Northern Virginia. Guests from the UK, France, and Pakistan graced the event making it a large family and friends reunion too. 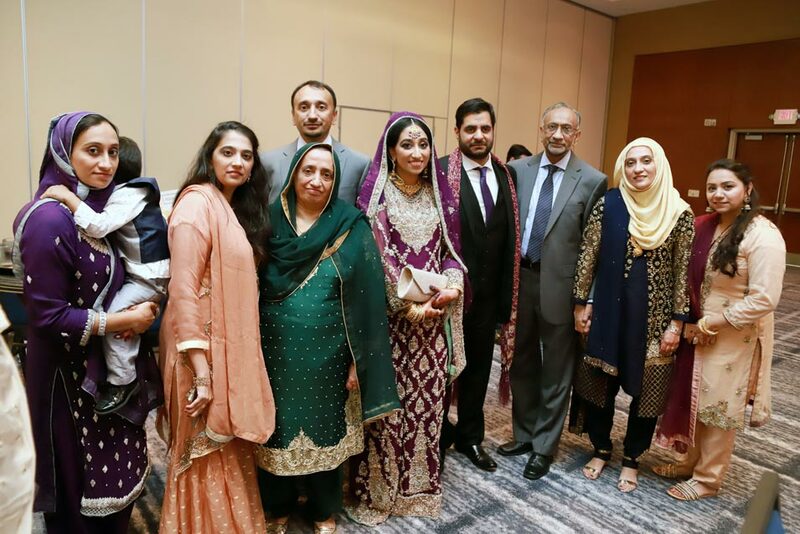 The wedding was also attended by Annuitants Mr. and Mrs. Karbach from Houston, Mr. and Mrs. Riaz Ahmad from Lahore, Pakistan and the bride’s kindergarten teacher Mrs. Wilsher who flew from Florida to attend the wedding. It was a three-day function, starting with Mehndi on Friday the 18th, a ladies only function where traditional activities were held, followed by the wedding at Hyatt Regency Fairfax on the 19th. The Nikah ceremony was led by Imam Magid and Br. Joshua Salaam of ADAMS Center, Sterling, VA. The groom’s family hosted Walima Dinner at the Hyatt in Crystal City, VA, attended by the guests from both families on the 20th. The couple now resides in Alexandria, VA. The Baig’s lived in Abqaiq when they first arrived in Arabia in 1977 and retired on December 31, 2010. They spent the whole time in Abaqaiq where Mr Baig worked for the Community Services Department. Aneesa attended Abqaiq Academy from Kindergarten to 9th grade. She attended high school at The Madeira School in McLean, VA followed by receiving her undergraduate degree from Virginia Tech. The groom received his undergraduate degree from George Mason University in Northern Virginia.